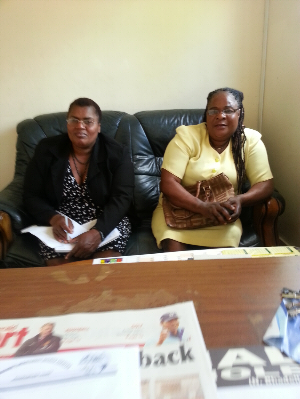 The Zimbabwe Indigenous Women Farmers Association Trust (ZIWFAT) intends to fully utilize the land allocated to them in all Provinces, Mashonaland Central, Mashonaland East, Mashonaland West, Manicaland, Matebeleland, Midlands andMasvingo. The project will empowerover 5,500 women, and it has formed a youth farmers’ wing called ZIWFAT YOUTH that is composed of young men and women of 18 to 35 years of age. They have a membership of 300 and the main body is assisting these youths to secure resources and loans. By taking advantage of abundant and reasonably priced agro-products in our country,the Zimbabwe Indigenous Women Farmers Association Trust will produce high quality and competitively priced consumer food products to satisfy local demand as well as expand into the exports market. This project proposal describes in detail the proposed plan to get assistance in cash and kind, how the resources availed will be used and how the Trust will significantly increase its revenue in the next twelve months. Once up and running, this project could bring in the much required revenue for the union. From year 2 onwards the project will be self sustainable and this will alleviate poverty and empower the indigenous women. 1. Venturing into Sack Potato Production, a new technic way of growing potatoes in sacks. This method maximize yield production, damages of potatoes on harvesting is next to nil and it can be done on a small space. Other members are also into convectional potato production and this is done all year round. 2. To increase the production of maize,Horticulture (paprika, garlic,potatoes, carrots, beetroot and cabbages) by cultivating at least 3 hectares for each woman farmer. 3. To produce vegetables cash crops when it is off the maize season for sale and for welfare of our families and the community for the poverty alleviation. 4. To increase monthly sales of our produce and achieve and maintain a gross margin above 30%. The project faces the general risks inherent in all businesses, including risks of product failure, market failure and economic breakdown, making losses and facing excessive competition to render the business unprofitable. To mitigate these risks, the promoter has taken time to study the market and the industry, as well as consulting with experts and other business people. Nothing suggests that this project will face any extraordinary risks. Management will continue to carefully study all known risks and put in place strategies to minimize losses to the company. ZIWFAT © 2014. All Rights Reserved.